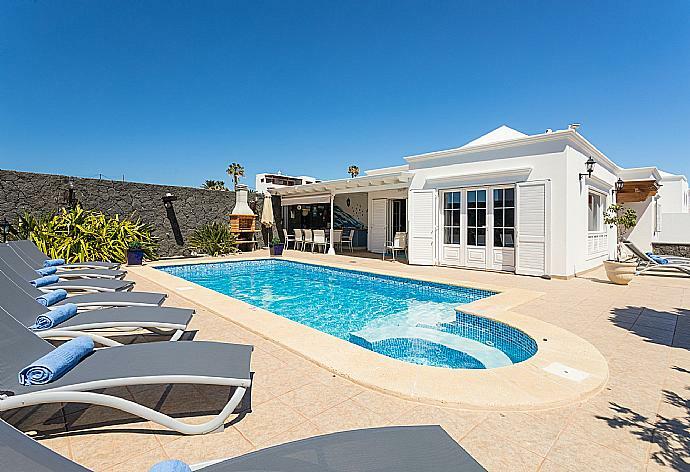 Villa Alki is located in Puerto del Carmen on the Spanish island of Lanzarote. This detached vacation rental property is air-conditioned and sleeps up to 10 people with 5 bedrooms, 3 bathrooms along with private, heated, swimming pool and sea views. The villa is walking distance to the beach and restaurants. On the pool level, there is a living room with comfortable sofas and access to the pool, a kitchen with a dining table and patio doors to the pool. There are also two twin bedrooms with a family bathroom and a double bedroom with an en-suite bathroom. Downstairs there is a twin bedroom and a double bedroom with a family bathroom and a play room with a lounge area and gym exercise equipment. Bedroom 3 has a double bed. Bedroom 4 has 2 single beds. Bedroom 5 has 2 single beds. Villa Alki can sleep up to 10 people. Fabulous holiday! One of the nicest places weve ever been to and definitely will return. The Villa had everything for a large family with a decent sized swimming pool with incredible views, If you werent lazing by the pool we were out seeking adventures and riding camels. We ate out most nights , but also took advantage of the BBQ grill provided. Would definitely recommend this villa and town. We enjoyed every part of our trip. The Villa was spotless, spacious and tastefully decorated. The out doors provided us with plenty of space and delicious meal. Highly recommend this beautiful villa. A little off the beaten track but this is how we like our villas! Peaceful and very comfortable for 6 adults in 5 bedrooms. Everything clean and tidy and enough kitchen bits and pieces to suffice, though yet again a corkscrew was missing (always the same!). Would we rent again? Absolutely yes! Terrific value for money. Agni travel dealt with the couple of small issues that arose promptly and politely, thanks to their team. Overall very good villa. Excellent Holiday. My husband booked villa Alki for our anniversary and we really enjoyed it. Having small children, we needed a place that would feel like home and have everything necessary, while still being able to feel like we are on holiday. This was an oasis. The place is beautiful and very spacious. The area is fantastic and the ambiance is quite peaceful. I cant describe to you how beautiful this property was. The villa is just as it appears in its photos, if not better. The wall art was such a neat touch. I highly recommend this property and this company. Puerto del Carmen, originally a small fishing village, has grown into a delightful holiday resort, saved from the high-rise buildings that blight so many other destinations due to the strict planning restrictions. The 6km golden sandy beach, along with the shallow water, is particularly suitable for young families. The old town's harbour offers enticing little tapas bars and waterside fish restaurants. Narrow winding backstreets, with pretty whitewashed walls lead to a chic shopping mall with smart boutiques. 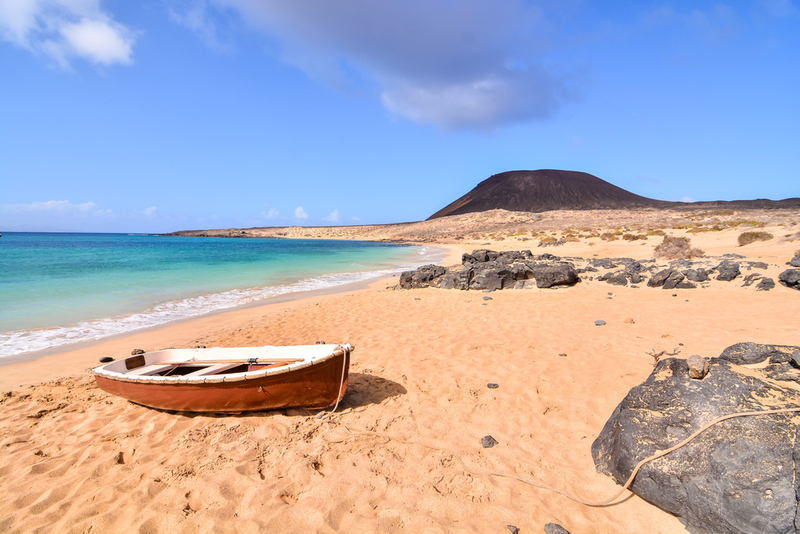 Puerto Del Carmen is a holiday destination to please every taste and style. Villa Alki was booked Today!